Безплатни онлайн игри: Покер, Бинго, Маджонг, билярд! Играйте за забавление! 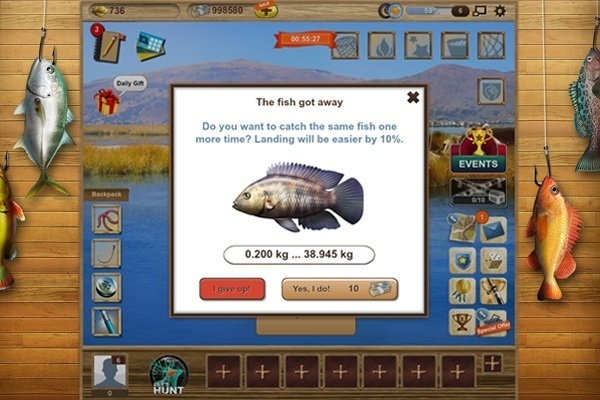 Let's Fish - Na Ryby is a free online game, which was created in 2012. 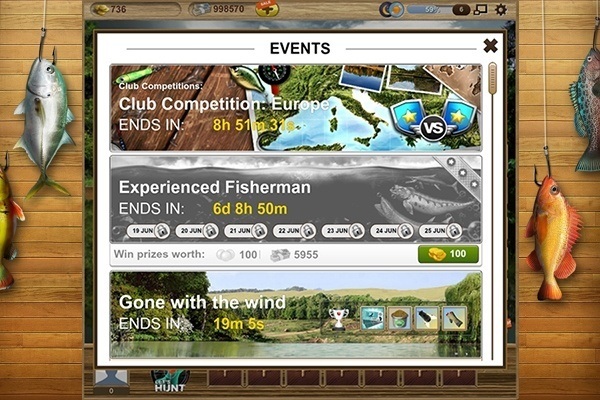 A group of online game lovers (free2play games) and also big fish fishing enthusiasts decided to create the best fishing simulator in the world, which would bread records of popularity. Now it’s clear that this is actually happening. Each year the number of players is constantly growing, reaching over 50 million active users in over 200 countries around the world. Let’s Fish fishing simulator is not just tedious fishing - it’s above all rivalry, regular events, championships and a community of over a million on Facebook. What makes people look for online sporting games? Above all a desire for rivalry, the opportunity to perfect one’s abilities attained in the real world, as well as good fun every time a fish of record size is caught. From the fresh-water Catfish native to oxbow rivers and warm lakes in Central and Eastern Europe to the white Tuna which may be found in the open oceanic waters and the Mediterranean Sea, to the tiger shark, which lives in the western part of the Pacific Ocean, the Australian coast and India. Regular logging on to the online game Let’s Fish allows you to assemble the appropriate equipment with which you’ll catch even the most magnificent fish! In our virtual shop you’ll find the appropriate fishing equipment to help you perfect your fishing techniques. Among the large amount of equipment, you’ll find products useful for effective sea fishing, spinning or float fishing. The best rods, proper reels, hooks, lines and the appropriate bait will allow you to win even the most challenging championships. Assemble the right equipment and you’ll surely become a master at the big fish games. 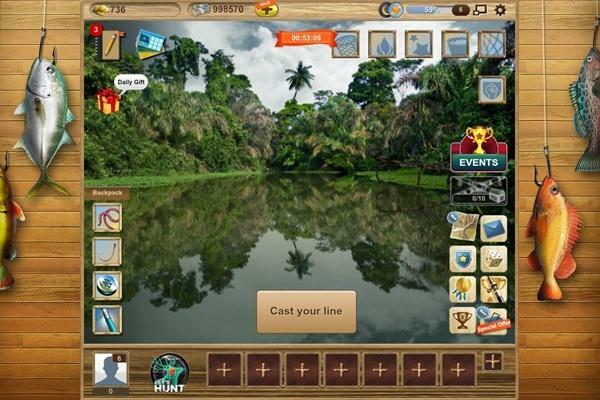 Once a month in our online sporting game, the next portion of content appears – a new fishing area on one of 6 continents with realistic fish, bait and fishing equipment adapted to the location. Also each month there are weekend championships in new fishing areas, open to all players who love excitement and rivalry. The newest fishing areas are mainly available for players who have passed 50 levels or for those who possess a special licence. During the weekend championships in the Let’s fish game, rivalry takes place on a few levels. 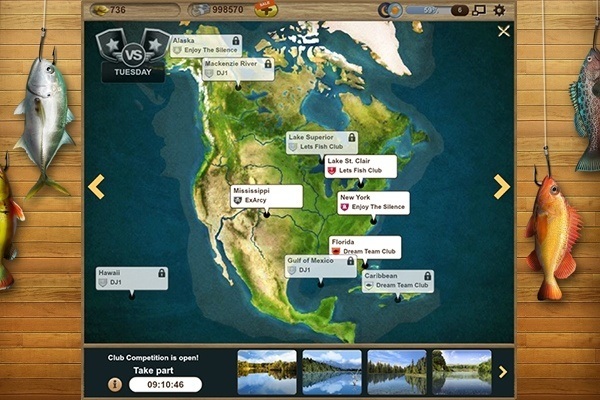 The browser game allows competing players to be matched to the appropriate level of play. Thanks to this, each has a chance in competition for the highest place within one’s own rank, and therefore each player has a chance to win attractive prizes. Taking place in the big fish championships, tournaments and duels, you can obtain points for weekly rankings of the online game for free. Thanks to this you’ll win valuable prizes such as: cups, virtual currency or fishing equipment. Each successful catch in the sporting game means the next fish in Your Fish Album. Thanks to this, you’ll collect points for the Best Fisherman Ranking – the most prestigious ranking of the game! Signing up to the club, you can also take part in club seasons and win valuable cups. Don’t lose time, enter the game today and become a fishing champion in the big fish game!